Daniel Zimmerman believes in paradigms, primarily standing on the shoulders of giants. 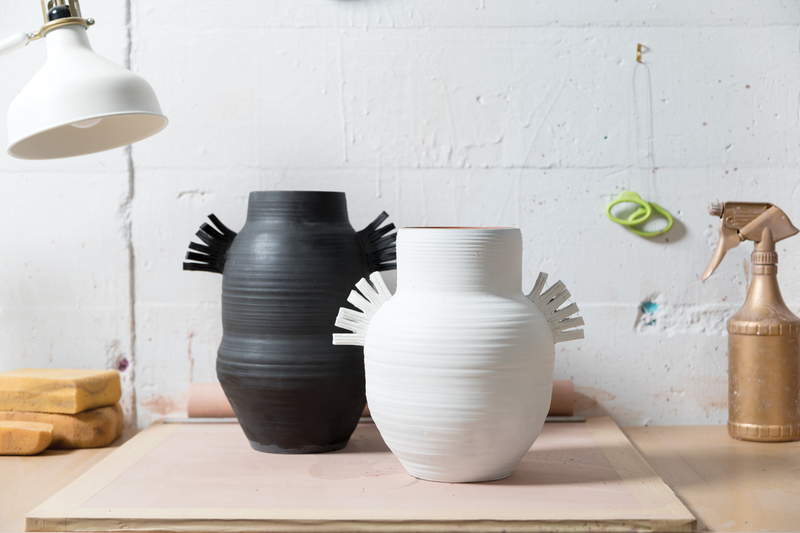 “It’s so interesting to me that thousands of years ago, artisans were using similar methods to those I use in my studio today,” he says. 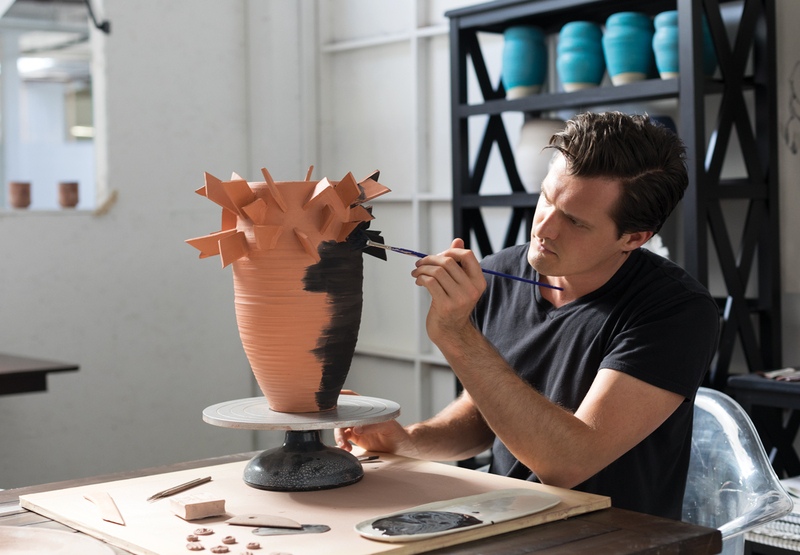 The artist and interior designer counts classical architecture, mythology, and ancient Egypt as key inspirations for his work, which includes thrown forms, terracotta and porcelain pottery, and sculpture. 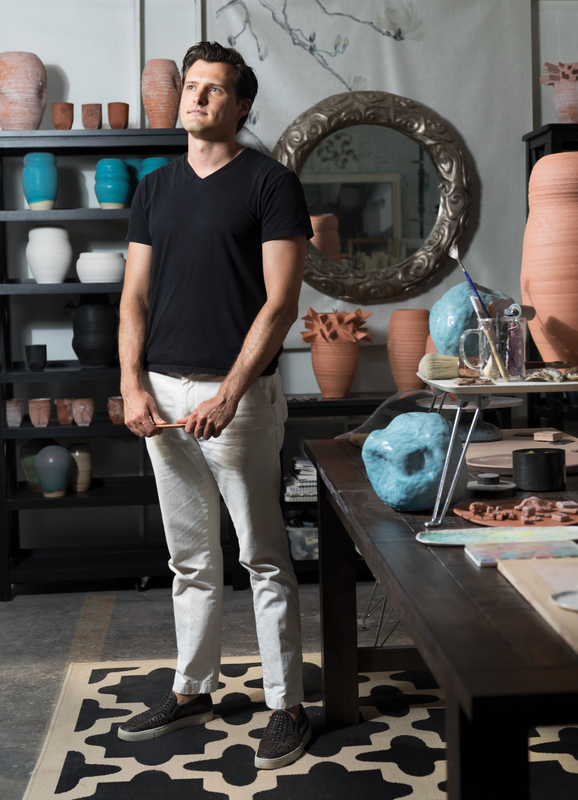 Formerly a designer with Musso Design Group, Zimmerman and another former Musso colleague, Seth van den Bergh, recently launched their own design firm, the Drawing Room. “We live for clients who have a great appreciation for arts,” says Zimmerman, who particularly enjoys creating custom pieces for designers or his own clients. Some of his most popular pieces include his tiny terracotta flower pots, sized deliberately to fit the miniature orchids from Trader Joe’s. He embosses them with hand-carved stamps or gives them a simple glaze. Daniel Zimmerman ceramics are available at Interiors Market, 55 Bennett Street, interiorsmarket.com.